Chris Lindley-Smith sales director at Street Crane commented: “This was a bespoke crane designed with a strong range of additional features, including radio control and travel frequency inverter drives, which ensure the crane operates extremely smoothly and allow the operator to position themselves in the optimum location for safe control of the crane at all times. 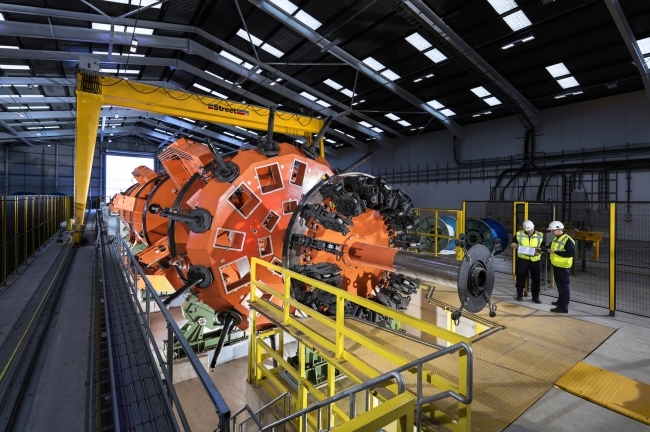 The new crane adds to an existing 72-tonne overhead crane which was manufactured and installed by Street for reel loading and unloading around five years ago. The 11m span double girder crane operates on a 30m long freestanding gantry system. Ian Mallett, manufacturing operations manager (UK) at JDR said: “As we regularly use a Street crane at our facility, we knew we could rely on the team to develop another high-performance crane that would enable our HLM to operate as productively as possible.